Sell your Mazda to us today in a fast, safe and reliable way. We buy all models of Mazda regardless of the age or mileage of your vehicle. Our experienced staff will provide excellent customer service. You will receive immediate cash payment for your Mazda. If you are asking “How can I sell my Mazda?” Look no further. Just enter your Mazda’s details online for a fast and free quote. 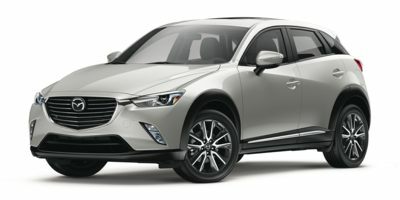 You don’t have to deal with the hassle of listing your Mazda in the classifieds, or waiting for people to test drive your car before you find a buyer. We will buy your Mazda today. There is no easier way of selling your Mazda. Our Mazda experts can buy your car at a fair price whether it has a high or low mileage. Your car can be an old or new Mazda. Mazda has produced exceptional cars in Japan since 1931. Mazda cars were first to Canada in North America, 1961. Many Mazda models have been listed as top of the car market, for example the Mazda Miata was so popular that it made the top of the convertible car list during the 1990’s. Mazda has built some great sedans as well; the Mazda 3 and Mazda 5 have competed with other big car manufacturers, and have seen great results. Mazda cars are well known for being comfortable and affordable, making them an award-winning car for many families. Mazda also has a line of Trucks, the Mazda B Truck Series.